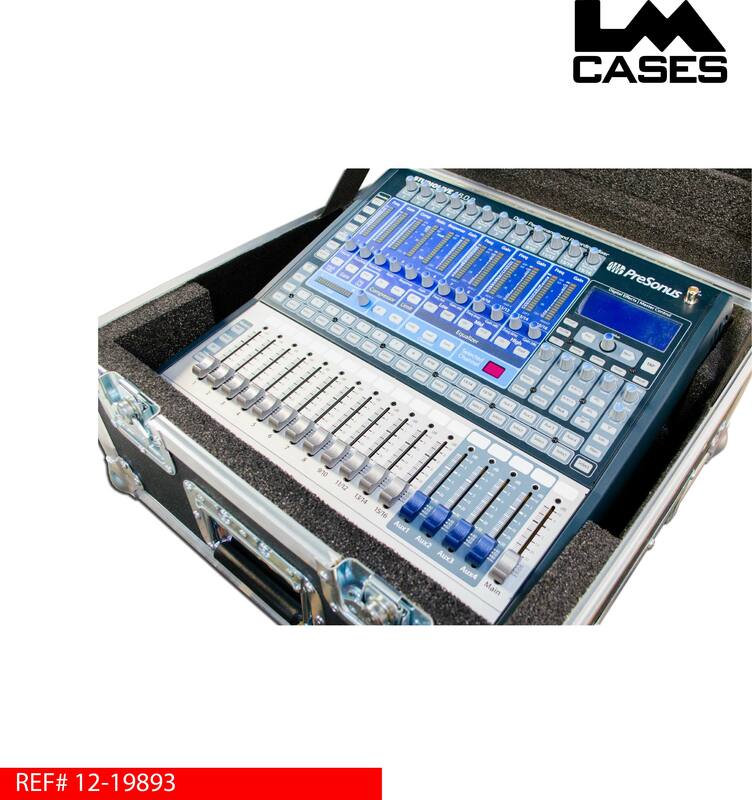 This case was designed for the Presonus 16.0.2. mixer. 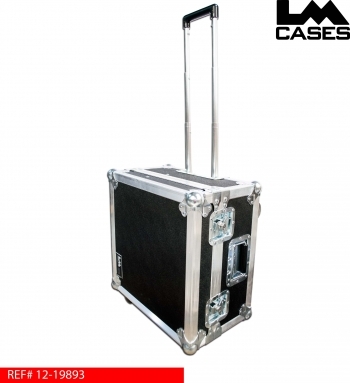 The case is built out of 1/4″ plywood and features a telescoping aluminum handle and inboard dolly casters. 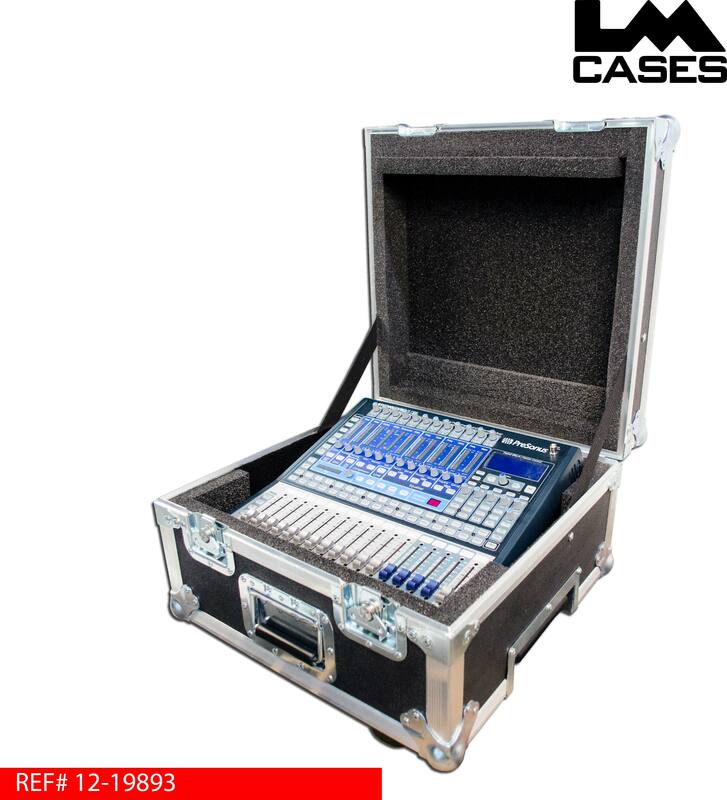 There is a storage compartment under the board for storage that is large enough to fit an iPad.